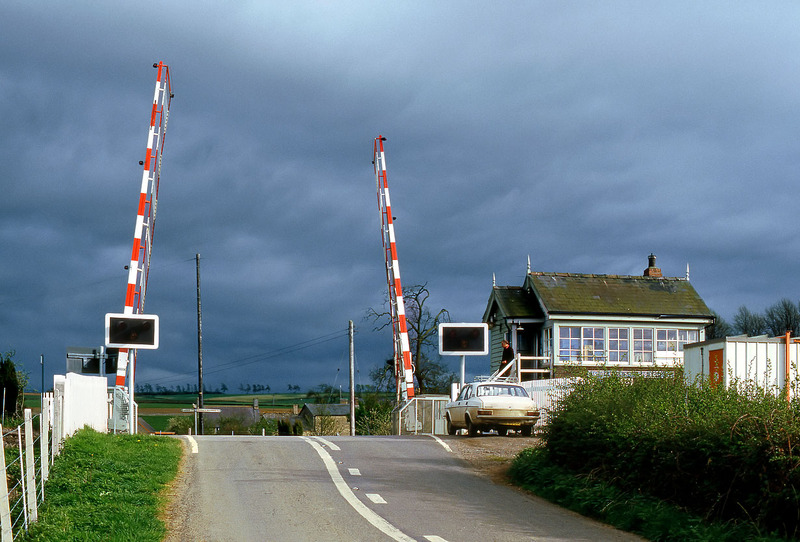 Ascott-under-Wychwood level crossing, pictured in some extremely dramatic lighting on 10 May 1986. The barriers and the adjacent signal box are illuminated by the evening sun, while to the south the landscape in under some very dark clouds. Since this picture was taken, the barriers have been replaced with a slightly modified design, and the signal box has acquired new windows. Also, it's a virtual certainty that the signalman's Morris Marina has long since gone to the scrapyard!